It's SNOWING in the Sierras. Huzzah! The best thing we Californios could have at the end of 2015. Regular reader Fred had an excellent idea. "Why not," he wrote, "do a summary of the year in SearchResearch?" A kind of year-end look back at the best-of (and maybe worst of) the year. He send this to me at the end of last year, 2014, but it's still a great idea. In particular, my "over the holidays" project is to put together a small e-book on the "best-of" SearchResearch, which I hope to post to you sometime in January. 1. What was your favorite SearchResearch Search Challenge of 2015? (If you must, feel free to slip back into 2014--we never did a summary of that year.) Tell us what you liked about the Challenge you enjoyed the most, or what you learned from it. 2. What was the best / most-interesting thing you learned in 2015 about search or research? I'm looking for good ideas for future SearchResearch Challenges, but also I'm also looking for new information resources that we should all know about. 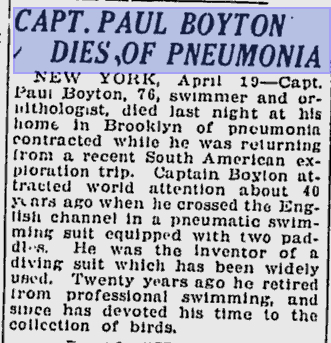 I'm not turning into a Paul Boyton fanatic, but I did find a couple of interesting tidbits this past week. 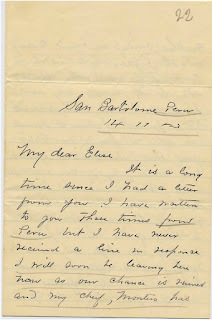 First, I found an archive collection of Boyton's letters (nicely transcribed from their original handwritten forms). 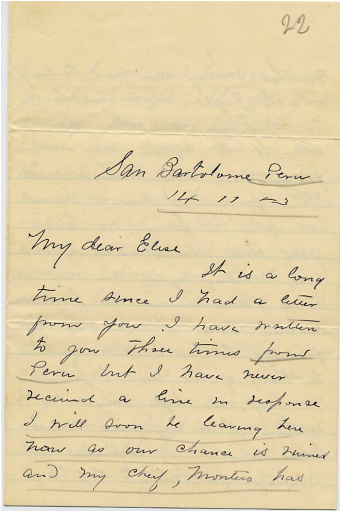 This collection includes his "Dear Jane" letter, breaking off their relationship, to Elise (Feb 21, 1893) where he tells her "...my life is one full of danger and I fear I have done you wrong to ask you to share it..." It's an odd letter; he's letting her down partly by saying that his new "secret" job (apparently a reference to his job as a human torpedo delivery man for the Peruvian navy) is too dangerous, and anyway, the letter he had received from Elise's father had "caused me great pain..."
We'd found out about the "professional swimming" part of this life... he spent the last two decades of his life being an ornithologist?? Ah, as I keep saying, everything is interesting if you look deeply enough. The obvious query: [ "wheel inside the wheel" ] leads to many songs and uses. The question is "where did this start from? So, when was Ezekiel written? Several sources point out that Ezekiel writes that it was written while he was exiled in Babylon, during the 22 years 593-571 BCE. Call it 2500 years or so before now. 2. In one such song about "Wheel Inside the Wheel", Jimmy Buffett has a line describing "Spyboy meets Spyboy, and Big Chief meets Big Chief uptown.." Huh? What's a spyboy? And why would Big Chief meet Big Chief uptown? What's this all about? As several people pointed out, the "Wheel Inside the Wheel" song is really by Mary Gauthier (but has probably reached more people via the Buffett recording). But the question remains: "Spyboy?" "Big Chief"? What are they? which led to a LOT of web pages (Wikipedia, MardiGrasNewOrleans.com, etc.) all of which tell us that a Mardi Gras Indian parade has a "spy boy" up in front, walking along the parade route and looking out for trouble (usually competing tribes). The spy boy who signals the "flag boy" who then signals the "Big Chief" (the de facto leader of the parade) what's going on. The tribes might choose to meet, in which case there's usually a symbolic fight, with the Big Chiefs taunting each other. And, as JM discovered, there's another song "Iko, Iko" which talks about Flag Boys and rival gangs meeting. There are several excellent videos of this song, but here's a very basic one (with lyrics). 3. In the 1981 South African hit, Impi, some of the lyrics say: "All along the river Chelmsford's army lay asleep; Come to crush the children of Mageba; Come to exact the realm's price for peace..." Who's Chelmsford? Who's Mageba? And what's the backstory here? The first search [ Impi Chelmsford ] (I just used two relatively rare words that were in the Challenge) and found that there was some ambiguity (two different battles showed up in the results), so I added in Mageba to the search [ Impi Chelmsford Mageba ] and found that the Johnny Clegg song "Impi" is about the Battle of Isandlwana on the 22 January 1879. 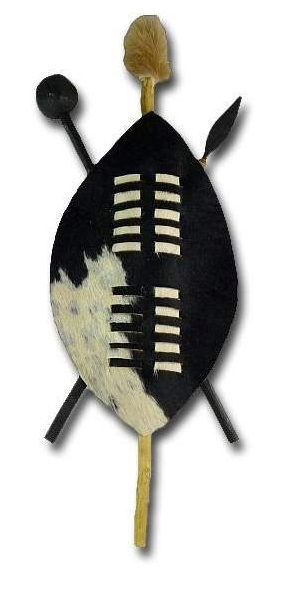 The Zulus were equipped mainly with the traditional Assegai iron spears, iklwa, and cow-hide shields, but also had a number of muskets and old rifles. The British and colonial troops were armed with the state-of-the-art Martini-Henry breech-loading rifle and two 7 pounder artillery pieces as well as a rocket battery. Despite a vast disadvantage in weapons technology, the numerically superior Zulus ultimately overwhelmed the poorly led (by Chelmsford) and badly deployed British, killing over 1,300 troops, including all those out on the forward firing line. 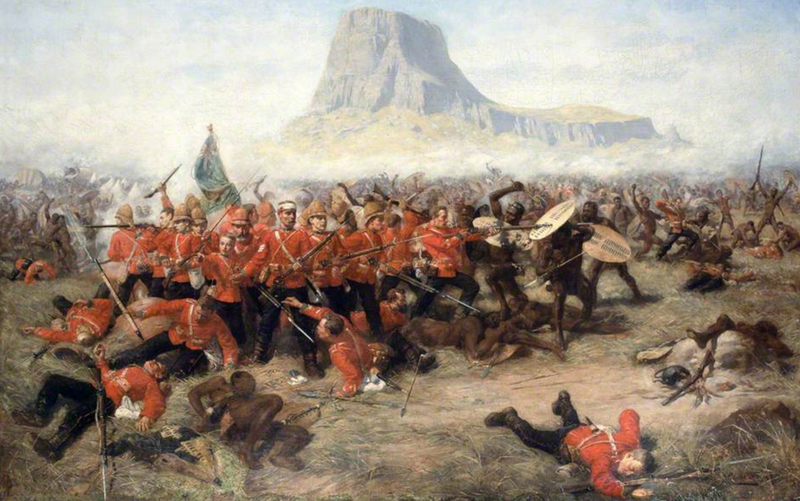 The Zulu army suffered around a thousand killed. The British army had suffered its worst defeat against a technologically inferior indigenous force. On the other hand, The Battle of Isandlwana resulted in the British taking a much more aggressive approach in the Anglo-Zulu War, leading to a heavily reinforced second invasion and, ultimately, the destruction of King Cetshwayo's hopes of a negotiated peace. But we still don't know who Mageba was! It didn't take long to find a page about the family history and heritage of KwaZulu-Natal (that particular region of Zulu-lands in which Isandlwana is located). In that royal lineage, we find two Magebas -- Mageba kaGumede (ca. 1667–1745), son of Gumede and brother of Phunga, chief of the Zulu clan from 1727 to 1745; and his son, Ndaba kaMageba (ca. 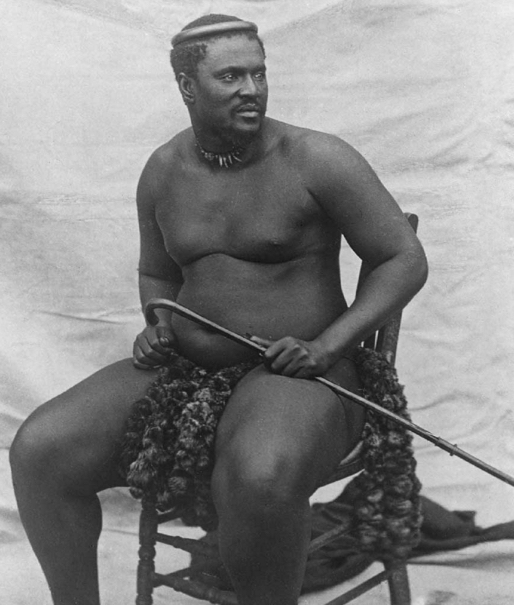 1697–1763), son of Mageba, chief of the Zulu clan from 1745 to 1763. The "children of Mageba" would be the descendents of these tribal leaders. As I mentioned, I find these backstories really fascinating. If you don't spend a couple of minutes looking up these things, it feels like you're missing part of the story. 1. Backtracking references is the way to go. Who wrote the piece, and what have they written (or said, in interviews) about the song writing process? Those often give clues as to what the original intent was (as opposed to what you might make up about it). 2. It's one thing to read about interesting people, it's another to see videos of them. I've read about Spy Boys and Flag Boys before, but until you go there (or next best, watch an online video of them), you don't really know what's going on, what it's like. These YouTube videos (and one like them) are locally filmed little insights into local culture. 3. Sometimes two low frequency (rare) words isn't enough and you need to go for three! Much to my surprise, [ Impi Chelmsford ] wasn't quite specific enough, and we had to add a third term. 4. And sometimes you even have to resort to using the minus sign. Yes, I could have kept going down the list of hits--but doing -Clegg got me to the high quality results more quickly. As I mentioned last week, I'm going to take a couple of weeks off from writing Challenges / Answers... BUT I'm not going away. Look for a post once a week until we get back into the rhythm. I'm working on something fun! ... so I wanted to drop you a note with a few odds-and-ends. 1. 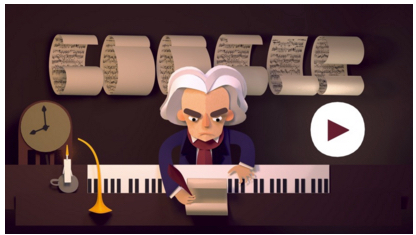 If you haven't seen today's Google Doodle, you really should. It's worth playing the Doodle game all the way to the end. Just go to Google.com (TODAY only), and you'll see what I mean. 2. Remember our fun Challenge with Paul Boyton? Both Rosemary and Remijj found a full PDF copy of The Story of Paul Boyton (by Paul Boyton; originally from Project Gutenberg). This is an excellent find. I printed out a full copy for myself, and am having a wonderful time reading it. 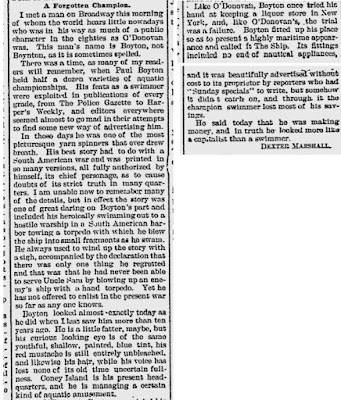 And I also found this article in the Aurora Daily Express, July 8, 1898 (Aurora, Illinois), in his column, "Our New York Letter," Dexter Marshall writes about Paul Boyton as "one of the most picturesque yarn spinners to ever draw breath..." Which tells me that we should take some of his tales with a grain of salt. Interestingly, this same paper reports on the annexation of the Hawaiian Islands to the US by President McKinley, and has several advertisements for "slaughter sales," which are what we might call "fire sales" -- deep discounts (and having nothing to do with actual slaughter). 4. The Danish optician's instrument? Whatever happened to that? Answer: We still don't have definitive proof of what it is one-way-or-the-other. Until someone happens to actually spot one in the wild (or more likely, in a museum), we'll keep this Search Challenge as unsolved so far. 5. Just so you'll know, our blog just exceeded 2 million page views. Yes, you're part of a trend! Thanks, readers, this has been a great ride thus far--with more to come. The next goal: 5 million page views!! Do song lyrics ever baffle you? More than once I've written a note to myself about some obscure song lyric that I wish I understood. This happens fairly often, so I have lots of notes to myself, usually "what does it mean when they sing ....?" For instance, I had to look up what the story was behind the lyric to Crosby, Stills & Nash 1982 hit, Southern Cross. I didn't understand that the line "...she was making for the trades on the outside, on the downhill run to Papeete.." meant that the ship was heading south-south-west, across mostly easterly winds, to catch the trade winds, from where they will sail "downhill" - downwind, in other words - on the westerly trade winds into French Polynesia. Got it. But I had to look that up. Although I grew up in Southern California near the harbor, I've never sailed trans-Pacific on a sailboat, so even though I'm from there, I didn't get the reference. But this brings up a few other song lyrics I had to look up. Mostly these aren't hard, but just really interesting in uncovering the backstories. Often, I find, there's more stashed in these lyrics than you might think. Let's do a couple of small Challenges before we sail into the holidays. And let us know how you found out! Answer: How often do we write... this? ... occurs in our language, you need to find some data--usually the bigger, the better. This week's Challenge is all about comparing how often people write about certain ideas. How often do they mention LA vs. NYC vs. London? How often do they write about different beverages? And so on. 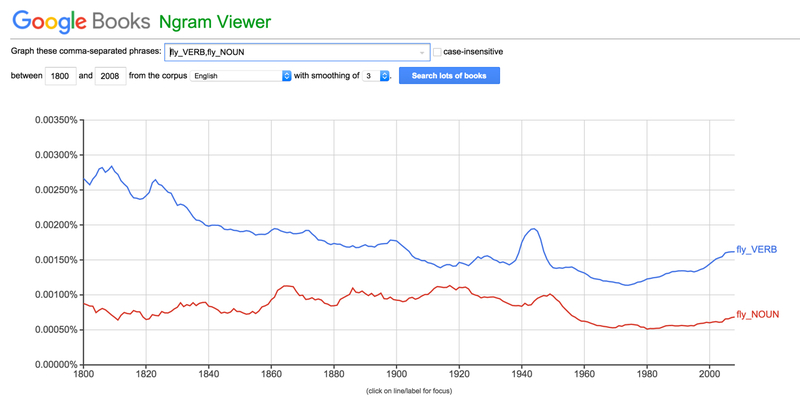 As I mentioned, once you have a great data set you can process it to find answers to questions like "is fly used more often as a verb, or a noun?" But before you do the analysis yourself, a great approach is to do what I always say: When in doubt, search it out. In this case, you'd save yourself a TON of time. When you do this query you'll find a bunch of speciality databases about words. There's the BYU Corpus With this resource you can chose from 440 million words of full-text data for Contemporary American English (190,000 texts), 385 million words from COHA (115,000 texts), or 1.8 billion words for Global Web English (1,800,000 texts). You can either download the data ($), or use the web interface to do analysis. The data comes in three formats: relational database, word/lemma/PoS (vertical format), or text (linear format). 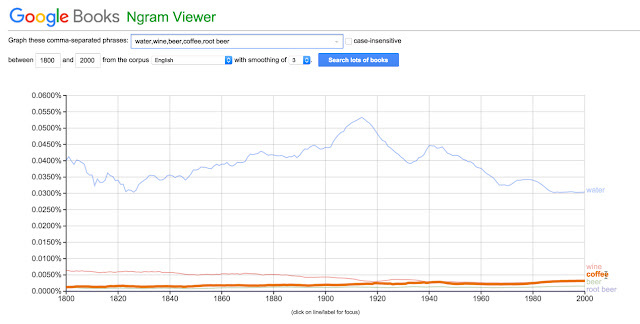 There are others, but the obvious one for our Challenge is the Google NGRAM viewer. This is a database and web-interface to query the dataset. You can read lots of details about the NGRAM viewer, including the resources it is derived from. 1. 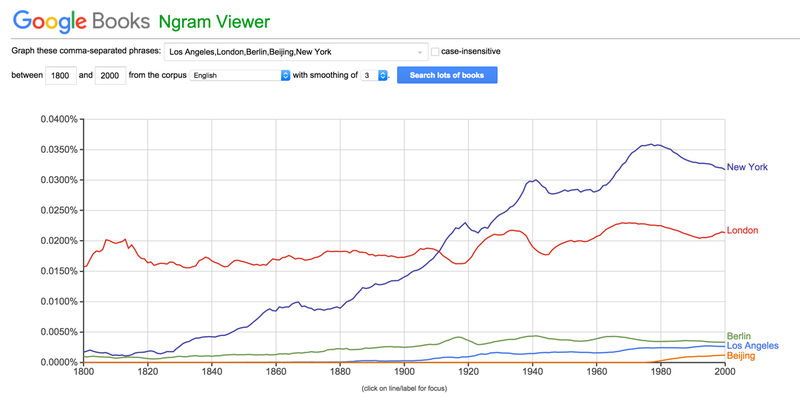 When people write about world cities, which do they write about most often? Los Angeles, London, Berlin, or Beijing? 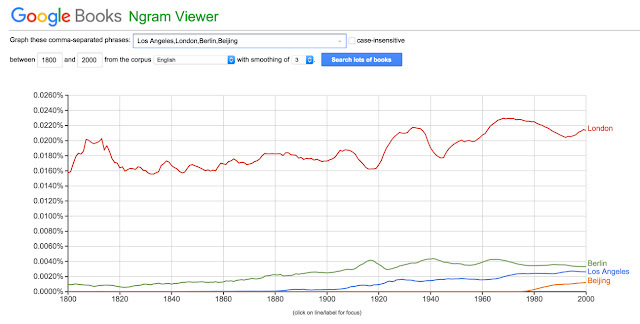 It's pretty clear from this chart that London clearly outscores the others. (Notice that I didn't include New York in this comparison set. Why? Because you can't tell the difference between "New York" as a reference to a city from "New York" as a state. Just for comparison purposes, here's that set of cities WITH New York, where New York clearly takes over from London right around 1910, just as it becomes an important commercial and cultural center. 2. If you look at what people write about what they drink (as a beverage), what do they write about? (Water? Wine? Beer? Coffee? Root beer?) Which is the most commonly written-about beverage? Let's do this one in the obvious way. The slightly non-obvious thing I've done here is to click on the "coffee" label on the right to highlight the orange line for coffee. If you toggle back and forth between wine and coffee, you'll see that coffee comes right up to wine in frequency starting around 1920, but it never quite becomes more frequent. For SearchResearchers, it's worth noticing that at the bottom of the chart is a small instruction line that says: "(click on line/label for focus)"
2. This is a pull-down menu that let's you change which corpus is being used. You can choose different data: American English, British English, German, Russian, Chinese, etc. 3. You can change the "smoothing" (that is, how many data points in a row does it average together to create a smooth graph--without the smoothing, the graph sometimes looks pretty choppy). 4. "case-insensitive" You might care if the terms are capitalized or not. For these terms, we wanted the case to NOT matter, so I clicked it off. 5. If you move your mouse over the chart, you'll see a pop-up that gives year-by-year detailed data. 3. Is the word "fly" used more often as a noun, or as a verb? 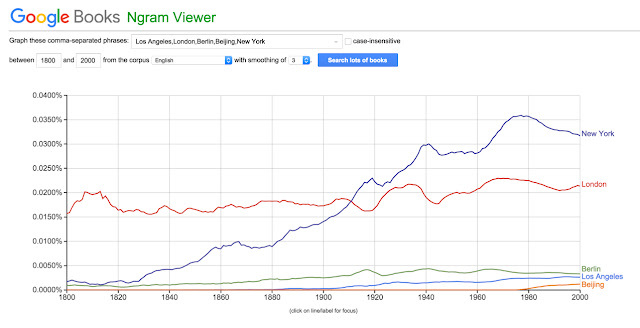 Now how can we do this using NGRAMs? It's really not obvious. 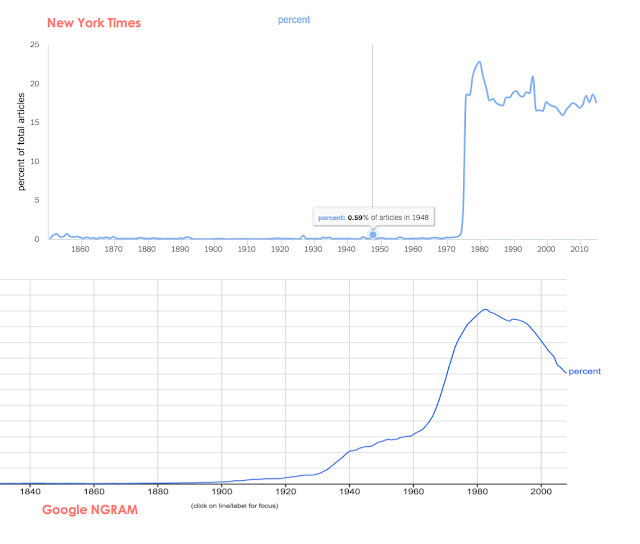 If we can't tell New York city apart from New York state, how can we figure out "fly" as a verb vs. "fly" as a noun? The fact that I'm even asking this question is a big hint to you that it's probably possible! to find the keys to this particular kingdom. Sure enough we find the advanced search page, which tells us that we can modify the query terms to indicate which word sense to use (such as "verb" "noun" "adjective" etc.). All together, NGRAMs lets you do wildcard search, inflection search, case insensitive search, part-of-speech tags and ngram compositions. 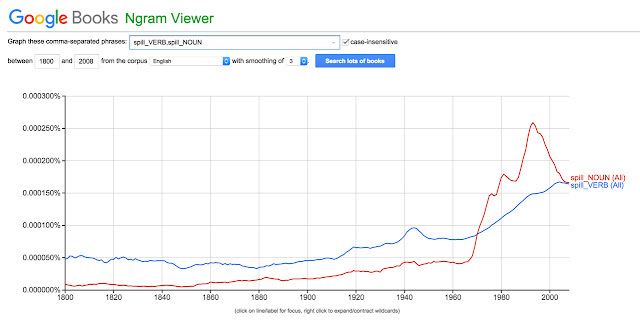 Here we just care about verb vs. noun. Unfortunately, there's no way (that I know of) to find this out without either writing a program to test LOTS of verb/noun pairs. Here's one I found with a fascinating cross-over. Ramon found that "now" has switched relatively recently from verb to noun (although I rather suspect this tagging--in the phrase "where to now?" the "now" would be categorized as a verb, when this is in fact a sentence fragment). As Rosemary found in a Forbes article about large data sets, there are lots of issues with using any large data set. (I recommend that article for people interested in the details of how you use multiple different data resources to cross-check and validate your findings.) 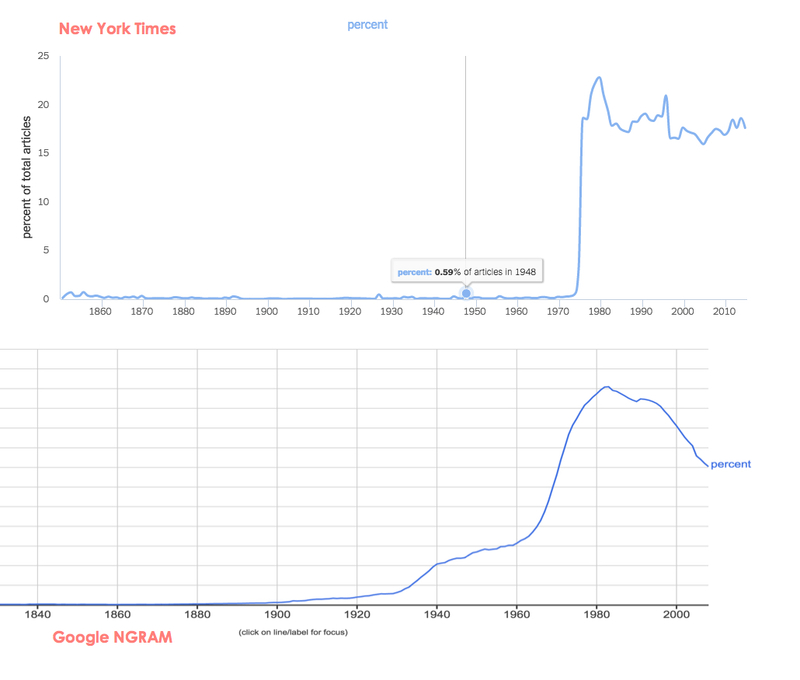 Among other things, that article points to the New York Times NGRAM corpus as drawn from their newspaper articles over the past 150 years. Check out their own NGRAM chart drawing tool. There are a few that I hadn't planned on for this Challenge, but ones that I welcome! 2. Pay attention to the UI. Learn to scan the interface looking for things it can do for you. You might not need all of that capability right now, but if you see it once, you stand an excellent chance of remembering that when you need it most farther down the road. 3. Sometimes you need to search for advanced features. You had a clue that you could search for multiple word senses (verbs vs. nouns vs...), but how could you figure it out? Searching for [ application advanced search ] or [ application advanced use ] will often lead you to the documentation you really need. 4. Question what you find. Always always always keep a skeptical mind about what you discover. This is true for everything, including this blog post! But in particular, if you can, try to cross-validate your findings. And if you find an extraordinary bit of data, remember that it probably needs an extraordinary argument. 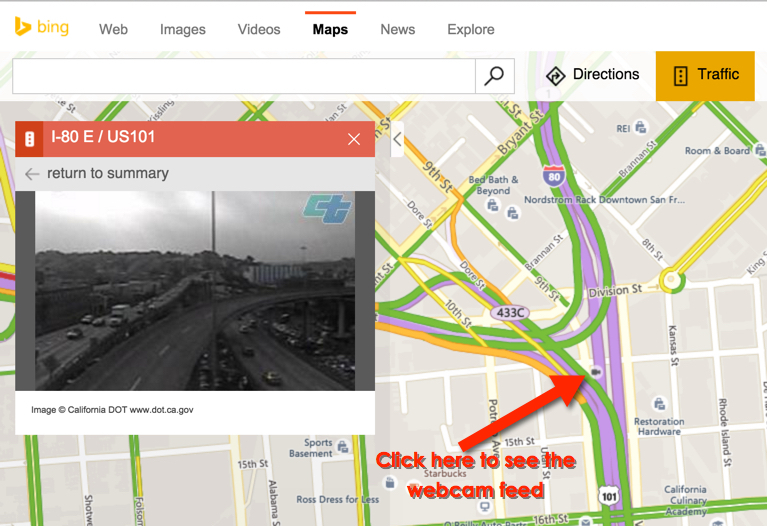 They now have a new layer in their maps product that lets you locate and see the current view from traffic cameras. This is especially handy if you live in a high-traffic area (I'm thinking about Seattle, San Francisco, LA, etc). Here's their blog post about it. Nonetheless, this is a great feature. Step 1. 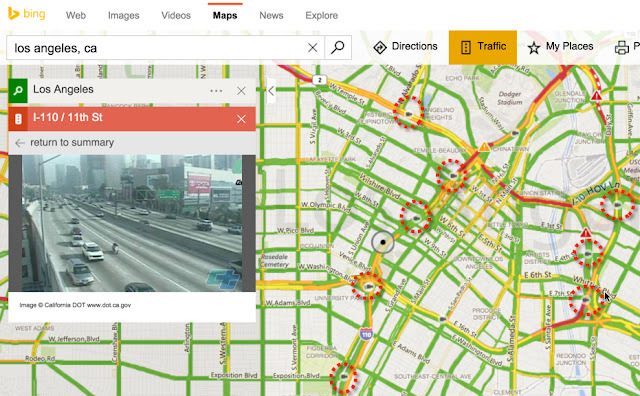 Navigate to some problematic place on the map; in this case, downtown San Francisco (amazingly enough, when I took this screenshot, the traffic is fairly light). Zoom in fairly closely to the camera icons appear on the map. 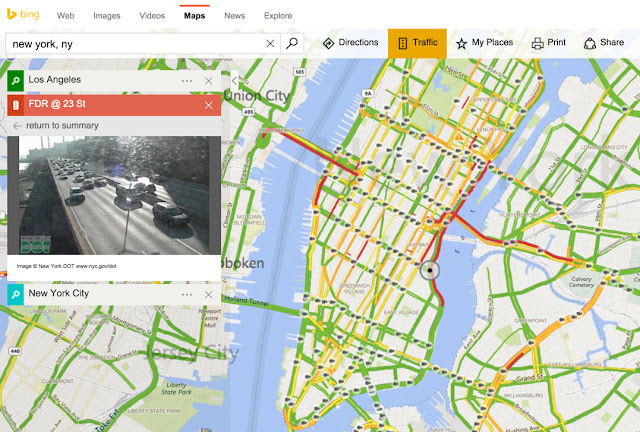 Then click on the "Traffic" tab (next to Directions). Note that some places have phenomenally good coverage. Here's downtown Manhattan, with camera coverage block-by-block provided by New York City's Department of Transportation (NYC DOT). As always, it's good to stay up-to-date on what capabilities the search engines are shipping! 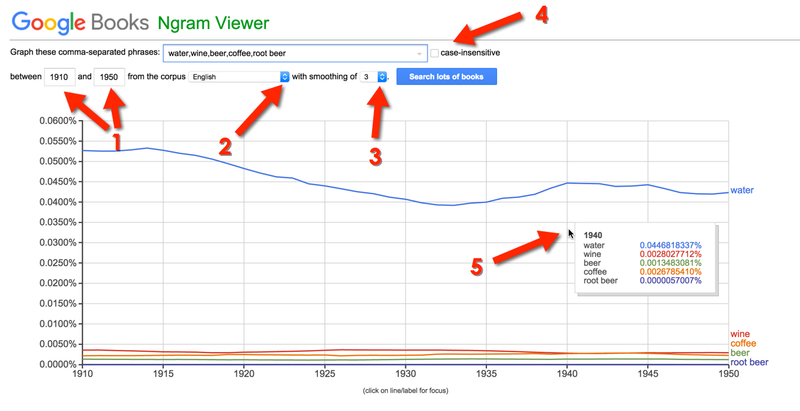 Search Challenge (12/9/15): How often do we write... this? ... about ourselves, and about the way we think. Linguists have known this for a while, and often do studies where they try to figure out how what we think/feel/believe is reflected in what we write. This week's Challenge is a couple of simple questions that are either taxing, or simple... if you know how to approach the question. What does our language tell us? We'll consider just English in this week's Challenge, as it's a good entry point, and finding the data isn't terribly hard. So, in a large collection of written English text, what are the answers to these questions? This isn't that hard, once you figure out how / where to analyze the data. But it probably give you hours of fun as we explore how often different words appear in written prose. Can you do it? Let us know what you find (and HOW you discovered it)! ... but the subject of this week's SearchResearch Challenge was definitely an interesting character. I'm not sure we'll be able to sort out fact from exaggeration, but let's see what we can find. Here are the Challenge questions to get you started. 1. Who took this ride/slide/boat shooting into water idea and based the idea of an amusement park around it? as it captures the essentials of the question. Here, it's smart to use the quoted phrases ("water ride" and "amusement park") as search terms. It works without them (if you do a side-by-side comparison), but you don't know that ahead of time. So I agree that quoting these phrases potentially saves a step. 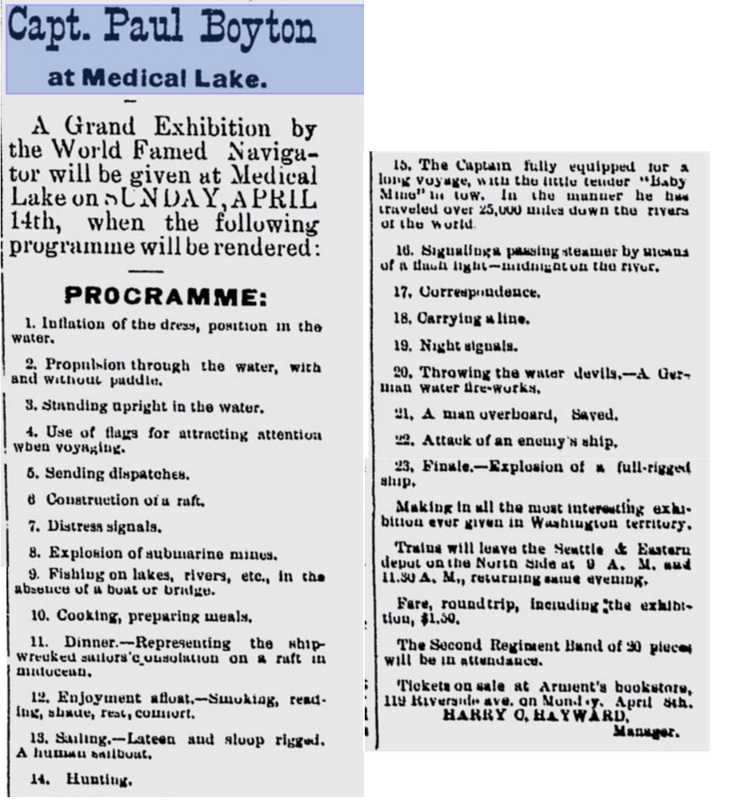 Reading the SERP points to articles about the "log flume" ride (invented 1963), "bumper boats" (1970s), and the "Shoot the Chute" invention of 1884. The Wikipedia article tells us that the first such ride was built on a hillside, but then carried to Chicago and turned into a true amusement park (with a fence around it, where one could pay admission to enter) by Paul Boyton (also sometimes spelled as Boynton). In 1894 he opened "Paul Boyton's Water Chute" which featured this kind of slide, along with others mechanical rides that made up the prototype of the modern amusement park. Disneyland was still 61 years in the future! Boyton then opened another version of the Shoot the Chute ride at Sea Lion Park at Coney Island. "My invention relates to the class of coasters wherein an inclined plane provided with tracks is erected adjacent to a body of water and terminates at its lower end at or just below the surface thereof, and in which boat-shaped toboggans are caused to descend the inclined plane and continue under the impetus acquired along the surface of the water, the boats being so constructed as to deflect the water from their sides to prevent it from splashing the occupants. The pastime afforded by coasters of this character has become a very popular one of late, and is known as shooting the chutes." 2. Once you know who it is, what was the major invention for which he is best known? 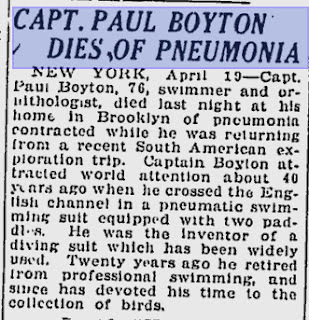 Once you know it's Paul Boyton, searching for additional information becomes easy--in fact, maybe a bit TOO easy. 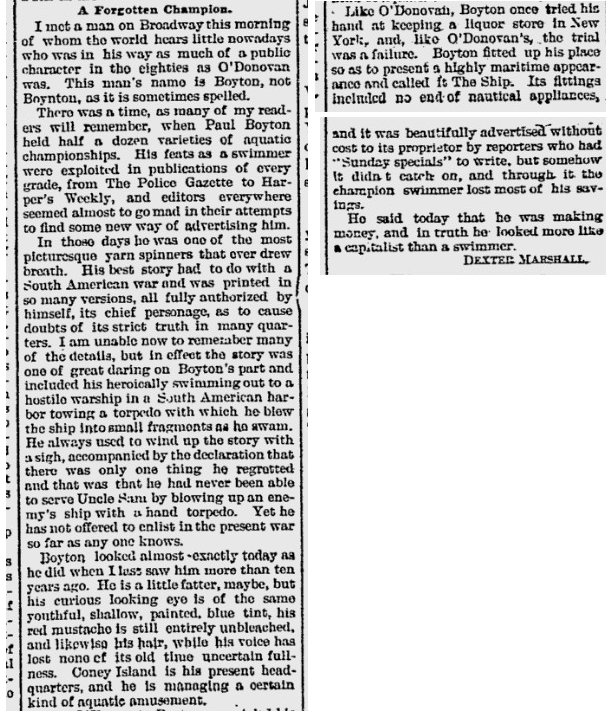 The query [ Paul Boyton ] reveals all kinds of fascinating articles about him, the scope of his life defies belief. Inventor of the amusement park, sea lion trainer, organizer of the aquatic lifesaving service in Atlantic City (NJ), a Civil War vet, barge pilot, a Knight in the Order of the Cross (Italy), Caribbean diver. 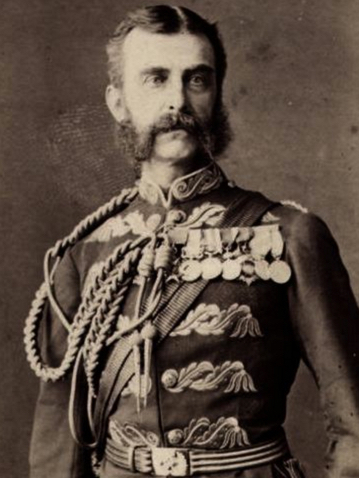 During 1880-81 he was commander of the Peruvian Torpedo Service. He was captured by the Chileans, and his execution ordered, but he managed to escape to the coast, and was picked up by a vessel bound north. That's quite a life. But he is probably best known as the "Fearless Frogman" for his exploits in his rubber suit. Photo by Alphonse Bernoud (Lyon, France), ca. 1875. But if you read carefully, the famous "rubber suit" was something he began to experiment with while heading up the lifesaving service in New Jersey. The rubber suit was actually invented by C.S. Merriman of Iowa. The suit consisted of a pair of pants with five tubes leading to pockets which could be inflated at will. "The suit was easy to put on and was able to sustain the wearer in the water indefinitely while keeping the wearer perfectly dry." 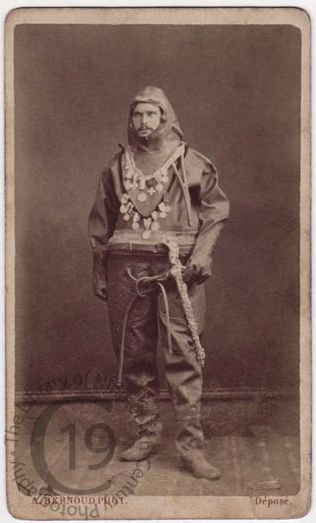 To follow up on this, I did a search for [ C S Merriman rubber suit ] (I didn't bother to quote the phrase rubber suit because that's a pretty low frequency bigram.) That led me to an intriguing book, Raising More Hell and Fewer Dahlias: The Public Life of Charlotte Smith, 1840-1917, which has a fairly extensive section about Boyton's life. This book tells the tale of Boyton's interest in Merriman's rubber suit, including his extensive tours to "advertise Merriman's rubber suit." 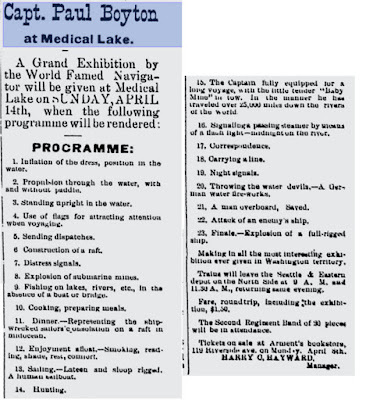 But of course Boyton was a supreme showman, and since it was he, not Merriman, who rowed the suit 22 miles across the Irish Sea to a safe landing, and navigated the rubber suit over 1,000 miles from Yellowstone down to the Mississippi, Boyton is most closely associated with the rubber suit. 3. Using that invention, he once traveled from Linz, Austria to Budapest, Hungary. How long did it take him to make that trip? My query: [ Paul Boyton Linz Budapest ] directed me to several articles about the exploit, with several saying that it took six days. I searched around for it a bit, and discovered a searchable copy at Amazon (the Google Books version isn't searchable as it has a copyright date of 2006, which is when it was reprinted by Benediction Classics. lunch and provisions (including cigars) in the box at his knees. If you're in the Amazon book copy, it's easy to search for "wine" (using the "Search inside this book") and after clicking on a few misdirections, you'll find the passage describing his meeting of "the most lovely girl he had ever seen" about 35 miles short of Budapest. They tried speaking German, but switched to his more passable French. Before resuming his downriver trip one of the "gentlemen asked through the young lady 'if M. le Capitaine would like a glass of wine?' "
The next paragraph says it all: "With a musical laugh she handed him a glass filled with sparkling Tokay." Those were the days--attractive women handing out sparkling wine to passers-by in dry suits. What's more, she gave him a bunch of violets that she had pinned to her dress. "He gallantly kissed them and pushed them through the rubber opening of the face piece, down into his breast." On the next page you'll read that the "most lovely girl he had ever seen" met up with him again in Budapest at the National Theatre. She said to him in English, "I'm so delighted to see you, Captain." "Not any more than I am to see you." replied Boyton. "Why didn't you speak English to me on the river?" "Well," she exclaimed, "I was a little confused and did not remember that Americans spoke English, but let me present you to my mother and the gentlemen..."
Ah.. those were the days. Private boxes at the National Theatre with mother and courtly gentlemen at hand. I was enchanted by the tale, so I kept reading, and discovered that on page 146 there's a long scene where Paul is talking with an Austrian officer and explaining that duels are all the rage in America. "Paul, easily seeing the drift of his [the officer's] thoughts, entertained him with accounts of hair-raising combats with bowie knives, revolvers, shot guns, and cannons, assuring him they were of frequent occurrence in the part of the States where he came from." This is, of course, tall tale spinning. Yes, there were duels, but not very frequently, and probably not with cannons. Tellingly, the book comments that "When the warrior parted from Paul, he was stuffed full of harrowing yarns, all of which he seemed to believe..."
Which suggests to me that Paul Boyton wasn't above enhancing his own story. In any case, this was one remarkable fellow. I just might have to buy this book and read the rest. Oh.. and on that page, you find that her name was Irene. He even named his little carry-all boat "Irene d'Ungeria" (Irene, belle of Hungary). As I said, this was a fun Challenge. Who knew such people really existed? I know some fantastic people, but none of them have taken a kayak from Yellowstone down to the Mississippi, let alone also been a diver and a drinker of sparkling Tokay while drifting downstream near Budapest! 1. Quoting bigrams for phrase search is a good idea when the terms themselves are common. In the first query we quoted "water ride" because we wanted that exact phrase, and not documents about rides that have water in the stream, or similar distractions. 2. Sometimes you have to check multiple sources to find a searchable book. Google Books is great, but when you can't get to a searchable format, try Hathi Trust and/or Amazon. 3. Reading really is a good idea. In this case, reading the entire passage from the books was its own reward, but also held the answers to our questions. Sometimes... you just gotta spend the time and do the research in a classic, even old-fashioned way. Hope you enjoyed this. I definitely did! More Challenges (and comments on previous Challenges that are still hanging fire) coming up later this week.